Could This Be More Portable? 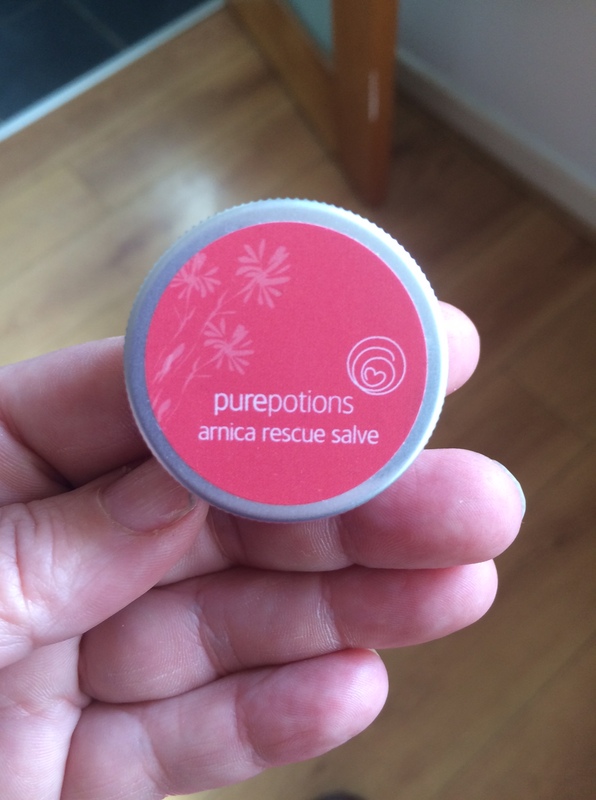 Pure Potions Arnica Rescue Salve | Bright & Beautyfull! As regular readers know, I ride horses, and I often review beauty products in the context of that pursuit. SPFs get a good workout during a lesson in high summer; anything that claims to be waterproof, from mascara to foundation, will find its claims challenged in the saddle. Then, there’s those random little nicks and bruises that appear as if out of nowhere. Like this one. Yeah, no idea. Could have been anything. 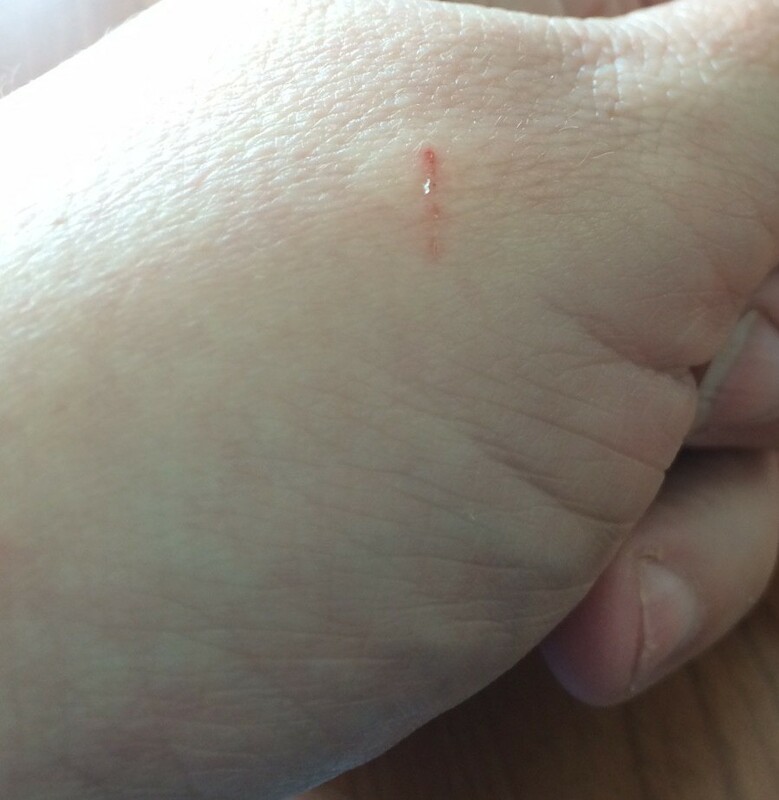 Maybe I scraped up against a buckle, or the door to the loose box. Who knows! All I know is, I didn’t have this handy little tin — ha, ha — to hand. Part of their First Aid range, pure potions arnica rescue salve is accompanied by tea tree, lavender and calendula & comfrey salves, and all are about the size of a lip balm tin. It couldn’t be easier to pop one of these in a pocket, especially if you’re me and have become so inured to bodily injury that you don’t even notice straightaway that you require some sort of intervention. Any one of these are a good thing to have hanging around. As a quartet, they’ve got you covered for minor burns, stings, cold sores, insect bites — admittedly small ones, as while their small size enhances their portability, you’re not going to cover a whole body’s worth of excessive sunburn with your tin of lavender. They are also organic, with no added nasties. How I wished I’d had this on me the moment I noticed that scratch. Once home, I lashed on the arnica and in a day and half, the scratch was healed.